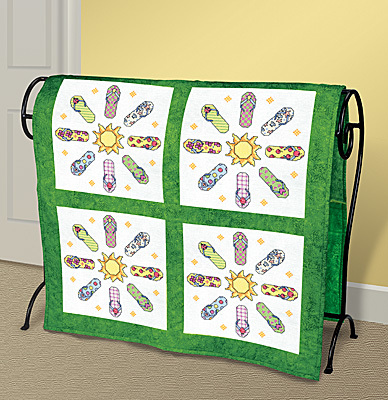 Summer has never been so fun with our amazing Flip Flop Quilt Block. Enjoy the different designs on each flip flop and colors too! Use it a lap quilt or hand it on the wall. 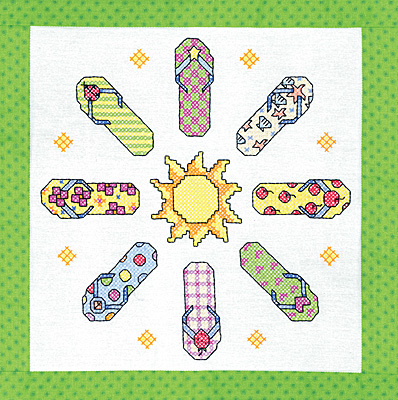 Designed by Sandra Garbrandt.Contains: 6 screen-printed 18" X18" 50% cotton/ 50% Polyester quilt squares, needle , graph, and instructions. Floss not included.